A unique gift idea for a special family in your life! 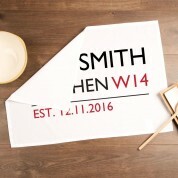 Our familiar design mimics a classic London street sign, complete with the family's name, the start of their postcode and a special date of choice. 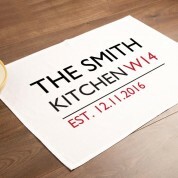 The classic red and black writing fills the size of the tea towel. 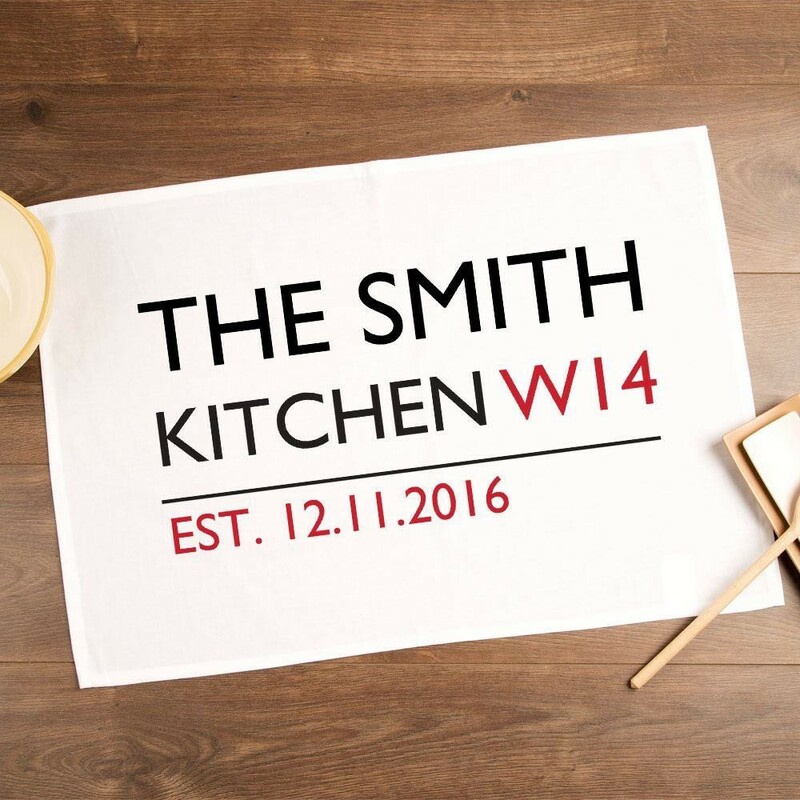 We think this makes a timeless gift at Christmas or on a birthday, though it would suit any occasion from an anniversary to a new home. 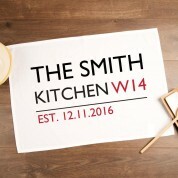 It will suit any kitchens décor and will be a great conversation starter with whoever sees it. The recipient will love to show it off when entertaining guests. The simplistic, classic design makes it timeless and it can be used and enjoyed for years to come.